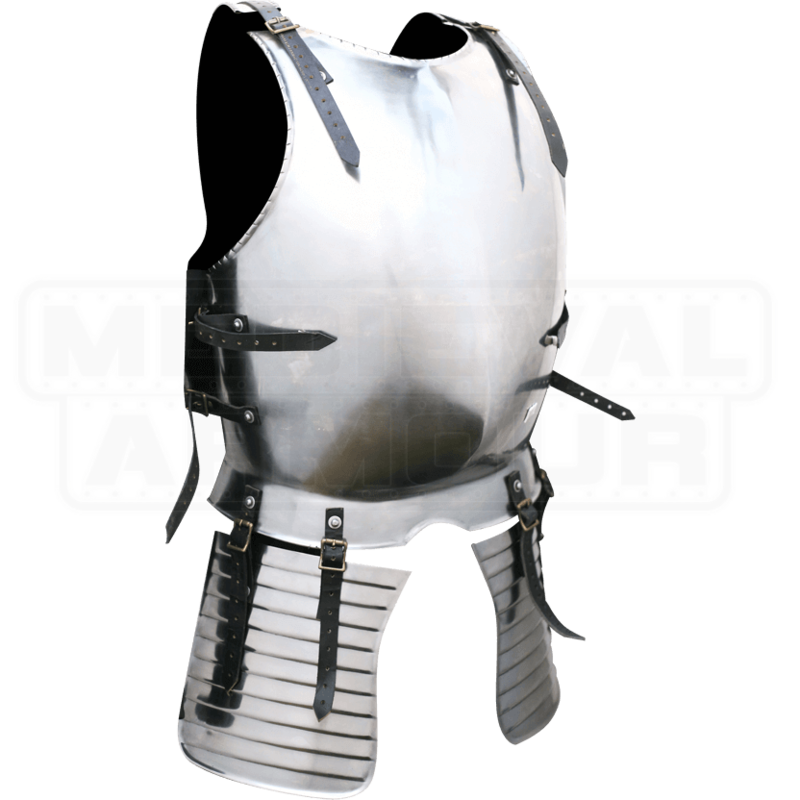 Based on the plate armor favored by foot soldiers in the medieval era, this Pikemans Partial Plate Armour combines a few key pieces of plate armor that offer excellent protection, without hindering the wearers movement in any drastic way. The armor is crafted entirely in 18 gauge mild steel, which provides plenty of thickness for protection, while also being light enough to reliably move in and wear comfortable for extended periods of time, too. The armor consists of a breastplate and a back plate, as well as attached tassets and an included morion helm (the same make and model of our Pikemans Peaked Morion Helm, item AH-A031H). The armor is worn via a system of straps and buckles, and is offered in one size. 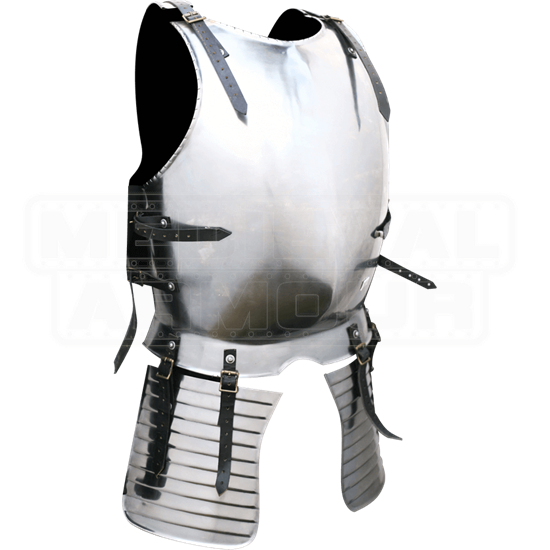 The versatile look and protective qualities of this Pikemans Partial Plate Armour make it a great suit of armor to wear for the modern-day warrior, just as it was a favored set that was once worn by warriors and foot soldiers in nearly all medieval armies.